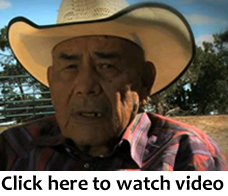 In 2003, Speaker Lawrence T. Morgan of the Navajo Nation Council met with families of the leasehold area to discuss the future potential closure of Black Mesa and Kayenta Mines. In response to meetings with these impacted community members, Speaker Morgan determined the need for a Land Use and Community Development Plan, one that focuses on and clearly conveys the unified voice of the people (Black Mesa-Kayenta Mines Leasehold Area, Land Use Plan by JJ Clac). The intent of the planning by the leasehold residents is for the community to use this plan in the post mining era as a guide for future community and economic development. Once the Office of the Speaker clearly articulated this need, the work began among community members, including a consulting firm used to assist the community, and in the process, draw on additional inputs from the Black Mesa Review Board with assistance from Peabody. While various interested parties participated in the development of the Land Use and Community Development Plan, the clear intent of the process and the plan will be driven by the community members, particularly the residents in the impacted areas. Each sector is responsible to develop goals and objectives for future community projects and to elect representatives to meet with other sector representatives to facilitate communication and to help bring the project goals forward. The number one goal of the people living within the Peabody Western Coal Company (PWCC) Leasehold Area is to establish a community that will be able to govern itself. This self governance will be established as a form of government such as a chapter or township. The Land Use Plan has been accepted by the Navajo Nation and is allowing the people living within the PWCC Leasehold Area to establish a government whereby they can govern themselves. For the residents of the PWCC Leasehold Area it is necessary to move quickly to establish themselves as self governance entity because the Black Mesa Review Board (BMRB) is being phased out. The government entity that is established will eventually replace the BMRB. Residents of the leasehold see a unified future where their community is recognized as a single entity able to foster its own growth and sustainability. It envisions a time when the community can incorporate certain existing mining facilities into other productive non-mining commercial or cultural uses. It sees other buildings being removed in an environmentally friendly way to establish additional open space where other uses may be established. The residents have a vision of balancing traditional values and economies such as grazing and respect for the sacredness and purity of the land and the health of the people.